How It’s Done: Is Your Audio Still Buzzing? Recently, I talked to a customer who complained about audio buzzing. He tried everything: new shielded wires, AC circuits on the same phase, new amplifiers, lifting shields on cables; all to no avail. With multiple audio sources coming in from many different locations, it was impossible to figure out which one caused the buzzing. After a short discussion, and my insistence that lifting AC ground was not a safe option, I recommended the use of an Audio Cleaner. A simple and reliable device installed on the output of any audio source will stop a buzzing noise in its tracks. Buzzing (also known as the 60Hz hum) is typically due to the AC ground loop current combined with unbalanced audio signals. Audio signals from laptops, computers, DVDs, and cable boxes are unbalanced and would benefit from an Audio Cleaner to remove unwanted buzzing. 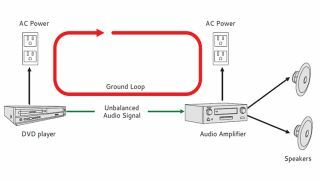 The Audio Cleaner is typically installed next to the audio source so that an unbalanced signal can be converted to a balanced signal right away. Installing Audio Cleaner effectively breaks a ground loop by removing the galvanic connection between the audio source and the audio amplifier. Specifying and using Audio Cleaner in your new and existing projects will guarantee a high-quality, noise-free audio experience, saving you countless of hours of troubleshooting.